At handballshop.com we believe in specialism. 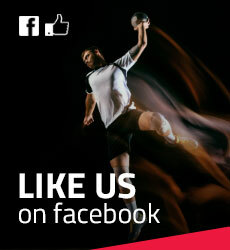 While you're busy playing handball, we're busy finding the right handball products for you! With over 15 years of experience and employees that have handball as their personal passion, we are continuously working to improve our offered products, our service and our website. We love to stay in touch with our customers so we can learn from their experiences and needs. You can contact us anytime using our contact page or just send us a Facebook message. No place is too far for us, so we ship worldwide for competitive prices that you can find on our delivery costs page.